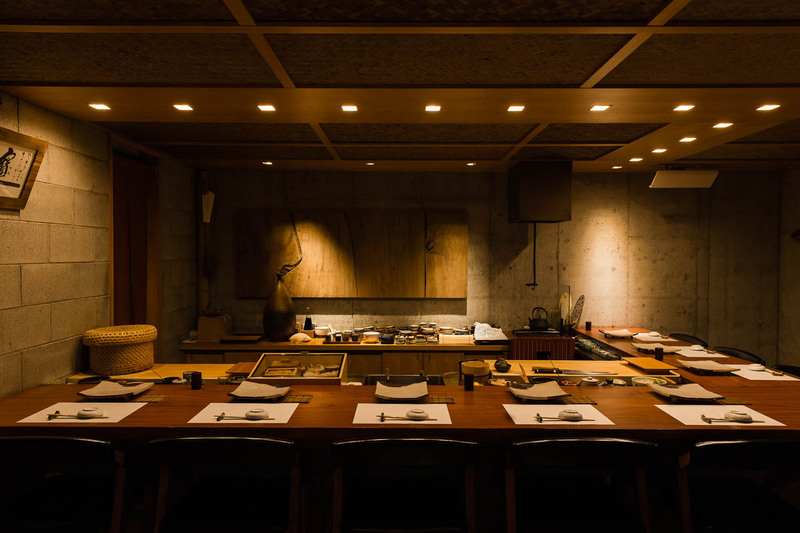 Tucked away in the narrow backstreets of trendy Nishi-Azabu, this one-star sushi bar is an irresistible find for wine lovers. 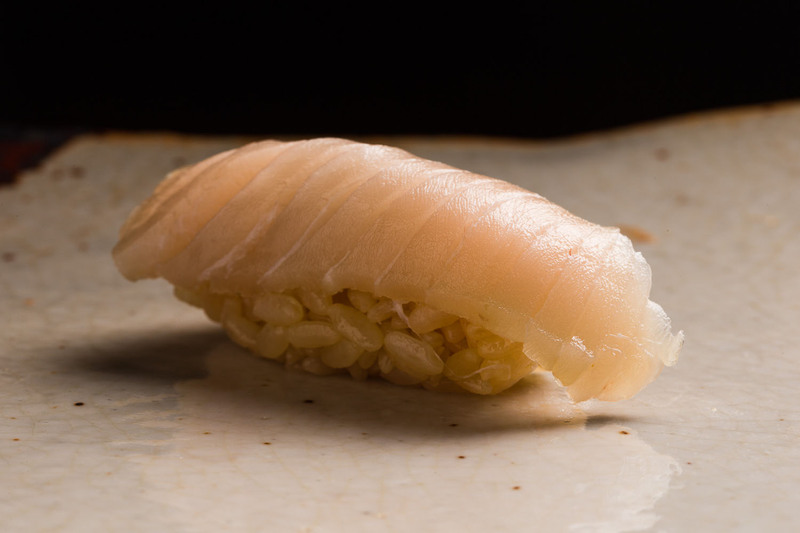 For more than a decade, Taku has served countless pairings of sushi and wine, mastering the delicate balance between the raw fish and the fermented grape. What’s more, the chef adds a fun twist by offering many small dishes to break up the meal or a sample platter of sea urchins for the guest to savor and compare. At first glance, Taku’s soft-lit entrance on a dark street corner is hardly inviting. But once you push open the heavy door behind a cream-colored curtain, a lively voice welcomes every guest. 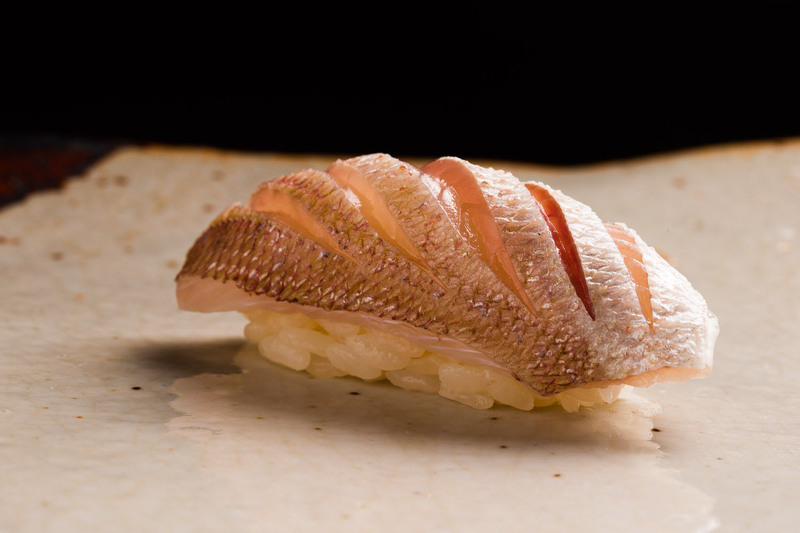 For those of you familiar with traditional sushi bars, Taku offers a different ambiance. Set against the bare concrete walls, the main bar counter, made of quince wood, is warm and welcoming. For the ceiling, they’ve mounted ajiro mats, a plaited wickerwork made of bamboo strips, a feature often used in Japanese tea houses. The space beautifully blends the modern with the traditional. Despite the large space, the main counter seats just eight guests, and the private room fits six. The place feels intimate yet spacious, enhancing the experience for every guest. Behind the counter is a large table with rows of wine bottles, which the sommelier can help you choose from. 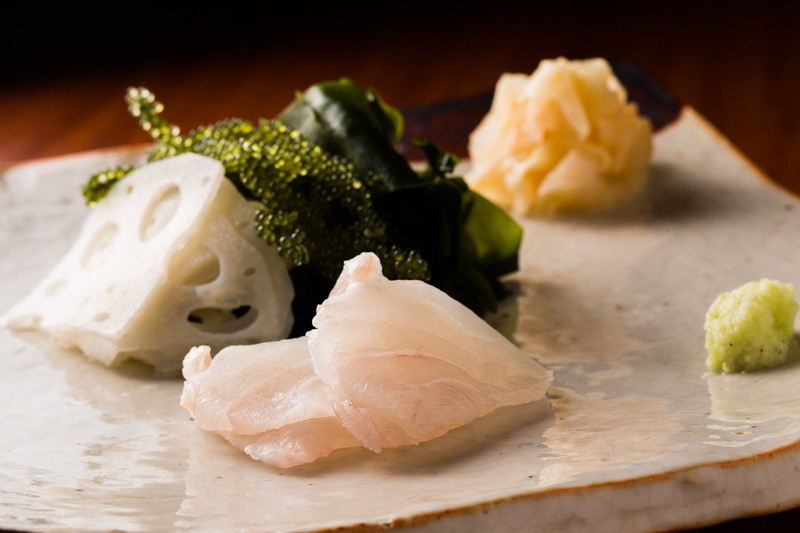 The cuisine of Taku extends much further than traditional sushi. Ishizuka is particularly skilled at adding these small yet wonderful dishes in between each sushi that make the entire course even more enjoyable. For example, there is a perfect fall delicacy where soft slices of whiting are paired with grapes and slices of white persimmon. The overall flavor is light but the combination is complex and ever so memorable. Among other signature dishes is the sea urchin sample platter. 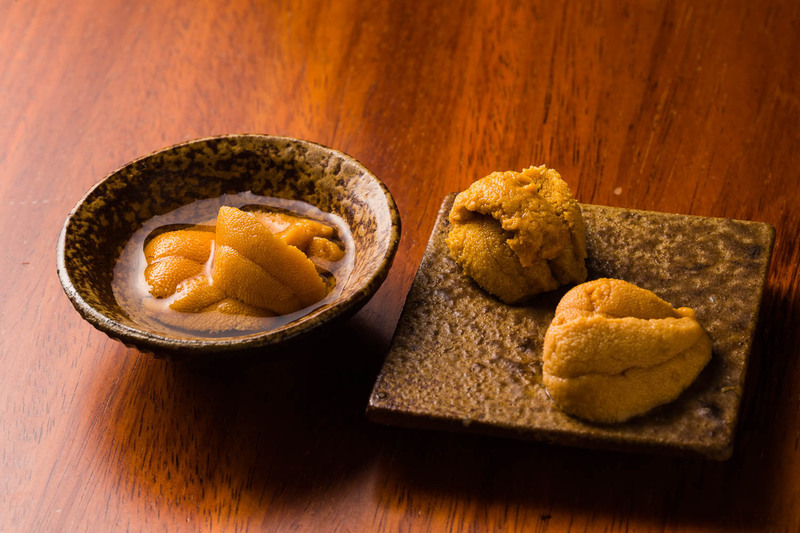 On a beautiful set of traditional Japanese ceramics, the chef carefully sets three spoonfuls of sea urchins: Bafun sea urchin from Hokkaido, purple sea urchin from Aomori and red sea urchin from Kyushu. While different in appearance, texture and of course, flavor, all three are equally divine. 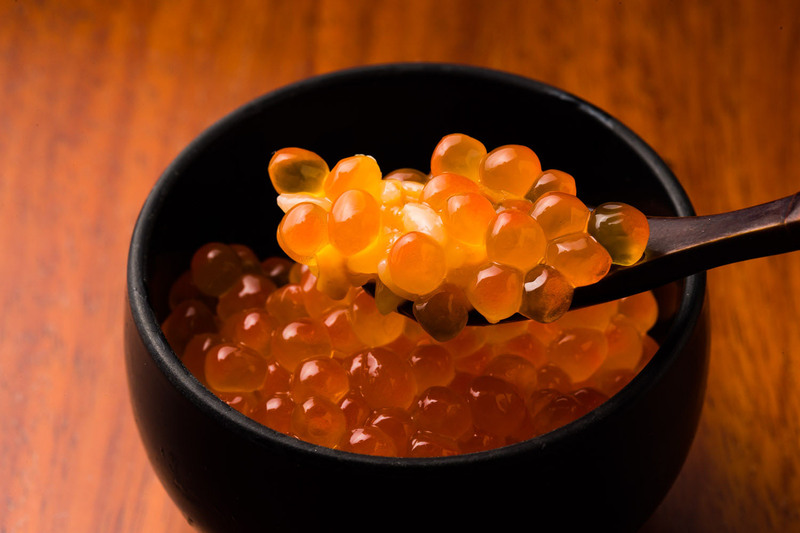 And if that just wasn’t enough, the sea urchin rice bowl topped with sweet salmon roe is a must try. All that said, Taku’s sushi is of course top grade. The day’s recommendations may include longtooth grouper from Shimonoseki, which is set aside for a week to let its flavor age. The oily gizzard shad is matched perfectly with white vinegared rice. 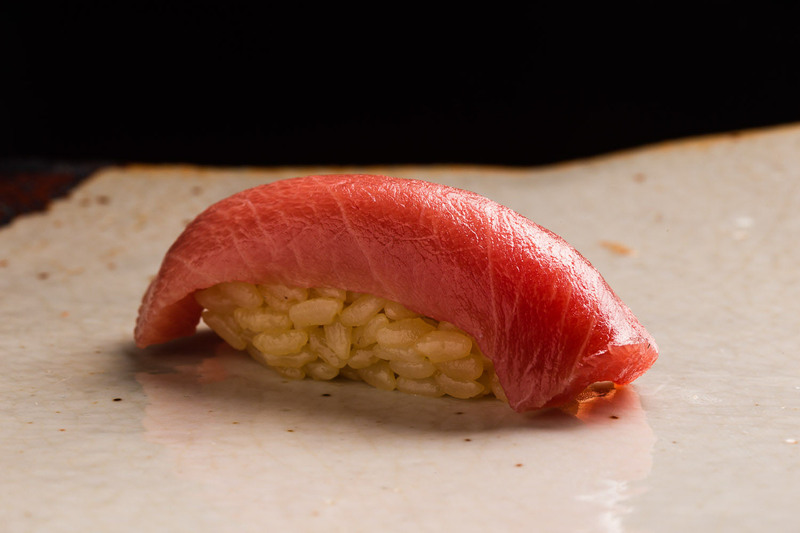 The tuna of the day is chutoro fatty tuna from Oma, Aomori in northern Japan. 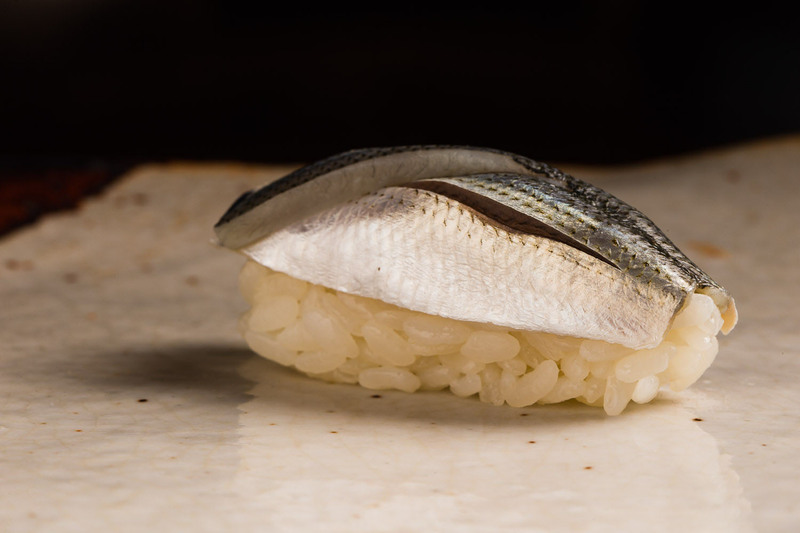 Spanish mackerel kobujime is prepared by curing the fish between layers of konbu seaweed to infuse with umami, a Japanese coined name for a savory taste. For the rice, the chef carefully alternates between red-vinegared and white-vinegared varieties. For oily fish, he uses red-vinegared rice to hold together the flavor, while for lighter fish, he uses the white varietal to bring out the flavor. while he doesn’t spend all that much time resting the rice, he carefully monitors the temperature at which the fish are kept, and makes sure that they are served in their best condition. 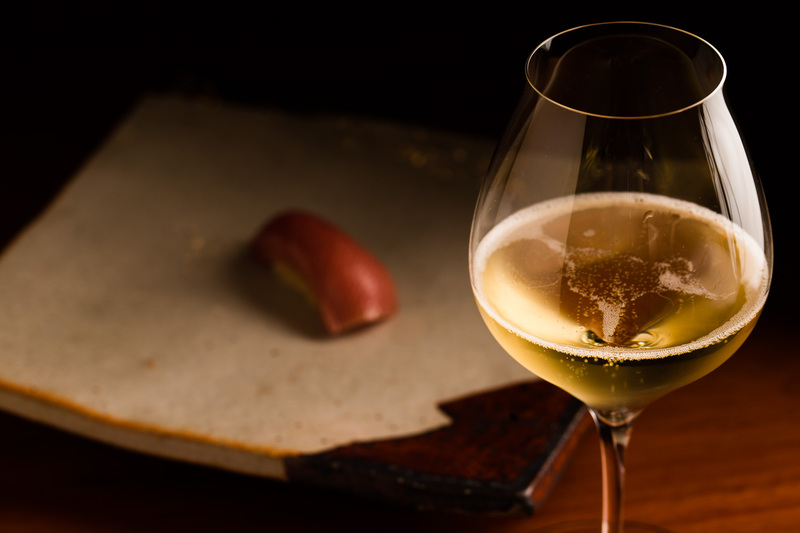 Taku’s menu is carefully crafted around wine pairings, which is why they have their own sommelier. The course typically alternates between sushi and tsumami small dishes, which are usually strong on salt to bring out the flavor of the wine. It may have recently become commonplace for sushi bars to offer wine but it was still a new concept in 2005 when Taku first opened. 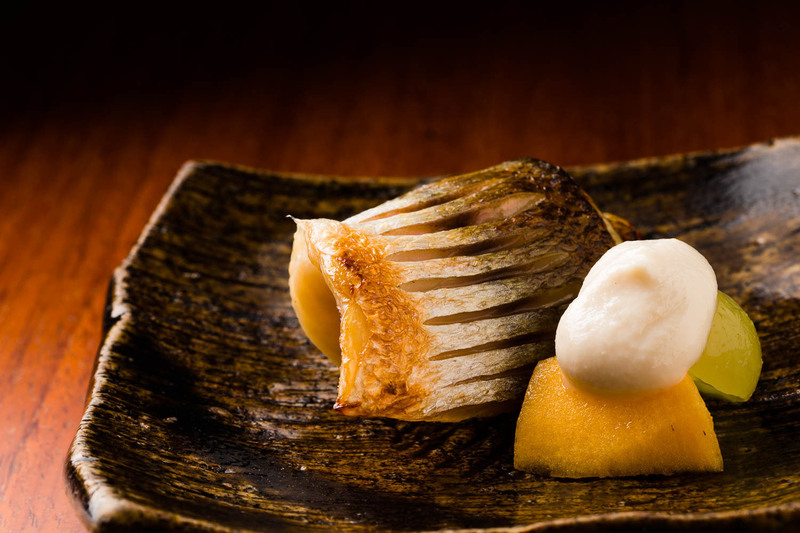 It felt like the right thing to do being situated in the heart of stylish Nishi Azabu. Ishizaka never misses his daily trip to Tokyo’s Tsukiji fish market, but also buys from Yanagibashi market in the southern island of Kyushu a couple of times a week. He began building his relationship with the Yanagibashi brokers there knowing that there are some rare fish that he can only get in Kyushu, and to make sure he can source high-quality fish when bad weather hurts the supply coming into Tsukiji. Thanks to his networking, he can now place an order in the morning to have fresh fish from Kyushu delivered to his doorstep by early evening. Since he was a boy growing up in Tokyo, Ishizaka always dreamt of becoming a chef. He even wrote about this in his elementary school journal. He loved to cook for other people and make them happy. In high school, he began helping out at a local sushi chain where the staff took him under their wing. He enjoyed working there so much he went full time after graduation and studied under their tutelage for almost five years. The people he met during that time remain core to his life, having taught him not only about preparing sushi but also about human relationships. After leaving the chain, Ishizaka worked for about a year at Yamaji in Roppongi, and then spent the next decades training at one of the most prestigious Tokyo sushi bars, Kyubey. This is where fate brought him to Oyakata (it literally means the boss), the future founder of Taku. 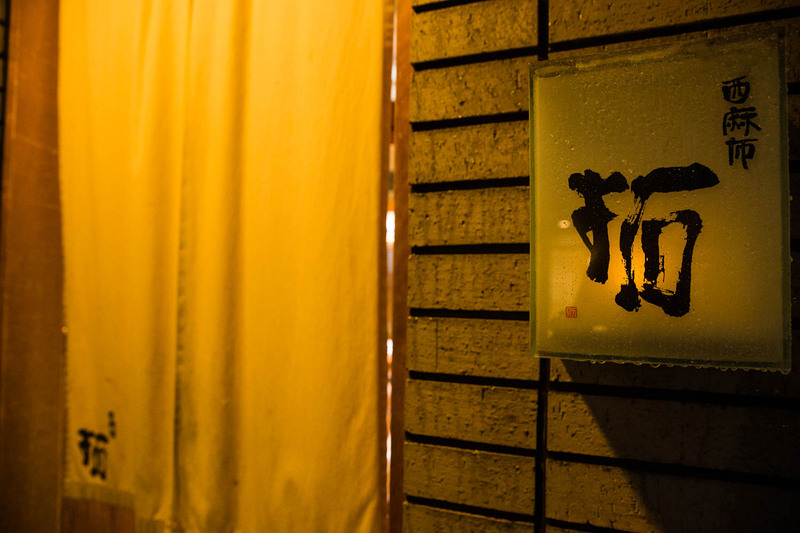 Five years after opening Taku, Oyakata asked Ishizaka to be the second chef. Ishizaka joined Taku in 2010 and mainly handled the guests in the private room. When Oyakata decided to relocate to Hawaii in 2016 to help another friend open a sushi there, Ishizaka stepped up to become head chef of Taku. After a year, he’s finally starting to feel more comfortable and has begun incorporating his own approach to the art of sushi. Oyakata has promised to return to Taku in the future, so Ishizaka has vowed to perfect his style in the interim. After that, he hopes it will be his turn to open his own sushi bar. This restaurant knows its wine. It has been their philosophy from the very beginning that their meal, which crescendos from light fish to richer ones, would not be complete without the perfect pairings for each dish. 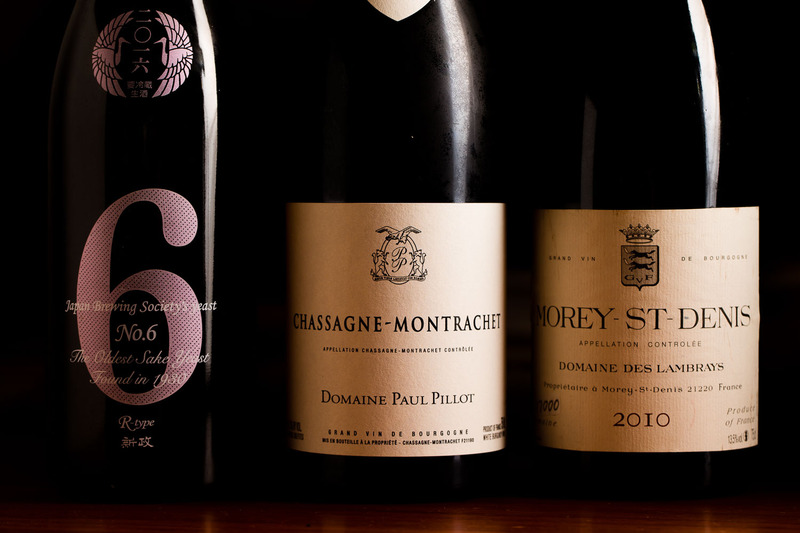 The sommelier’s collection includes mostly white Chardonnays from Burgundy. The cooler climate of the region produces complex but delicate grapes, which helps bring out the flavor of the fish. To start, she likes to serve slightly richer Champagne such as Bruno Paillard that has great depth. From there, she moves onto a glass of Sauvignon Blanc, followed by something dry but with a little tint of sweetness, and then a vintage with a stronger hint of the oak. His personal favorite is to pair light white fish with a slightly sweet Riesling, which complement their contrasting characteristics. Most red wines are too powerful to pair with raw fish, she thinks. For guests who prefer red, he serves a pure Pino from Burgundy. Whether you’re an expert in wine or not, Taku’s extensive collection and experience can always offer something special for everyone.